Since 2014, the Ioway Travel Plaza has served travelers, truckers and local residents. Our plaza features both standard and diesel fuel, a convenience store, and an array of amenities for all of your traveling needs. Distance travelers are welcome to freshen up with our showers and traveler-friendly laundry room. 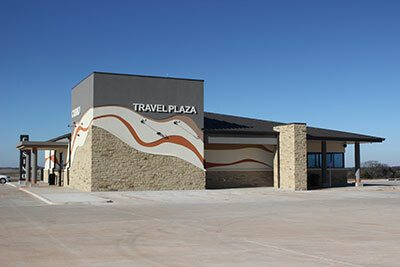 The Ioway Travel Plaza also features 39 of Oklahoma's most entertaining, exciting slot machines. Use your Players Club Card to fill up on rewards, and then be sure to stop by The Grill for some freshly cooked comfort food. 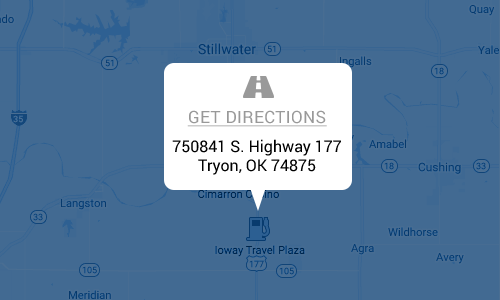 When you visit us, you can expect to find excellent travel services with more smiles by the gallon. We look forward to your stop!